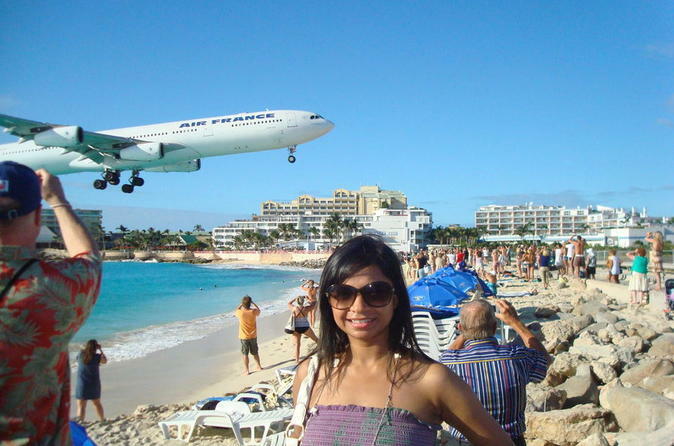 Any trip to St Maarten would not be complete without a day trip to the gorgeous and unspoiled island of sun and sand - 'Prickly Pear Cay', and a swim stop on a beach at her unparalleled sister - 'Anguilla'. Lambada's 10 year history of party boat fun, family gatherings and outstanding crew have made her a constant in the line up of #1 excursions. 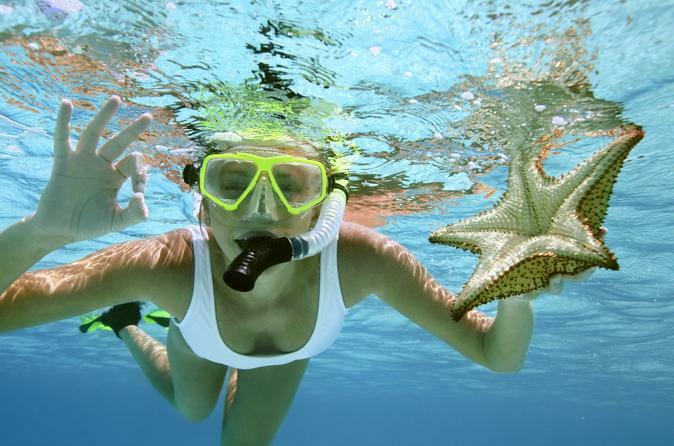 When your cruise ship docks in St Maarten, spend your time exploring its top snorkel sites. Your 6-hour shore excursion takes you by speedboat on a sightseeing tour around this island paradise. Snorkel in the marine reserves of Creole Rock, located in Grand Case Bay, and uninhabited Tintamarre Island – a great place to spot sea turtles! Head to Pinel Island for a beachside lunch, and enjoy soda and beer from the onboard open bar. 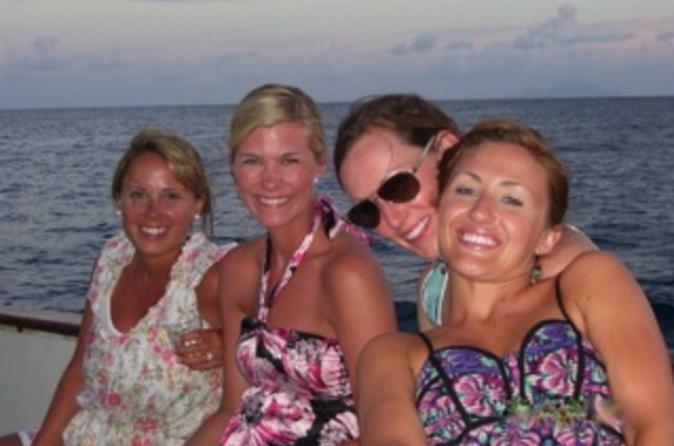 Receive personal attention from your guide on this small-group speedboat tour, limited to 11 people. Ever dreamed of sailing a real racing yacht? 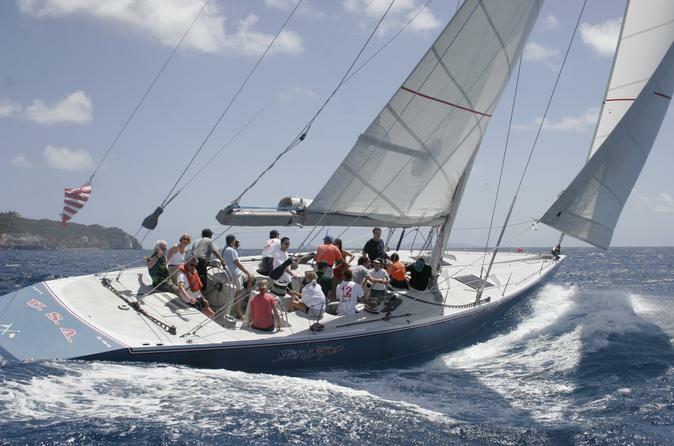 Well don't miss out on this fantastic opportunity to race in the warm blue waters and brisk trade winds of the Caribbean. Book this once in a lifetime adventure now! 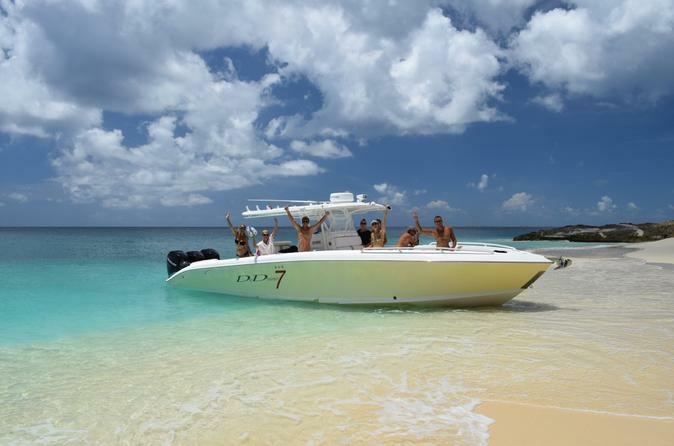 Take to the water on a comprehensive speedboat tour of St Maarten, with several snorkeling stops included in your 6-hour excursion. Snorkel at Creole Rock, swim among sea turtles around the uninhabited island of Tintamarre and enjoy a beachside lunch amid the shallow turquoise waters of Pinel Island. 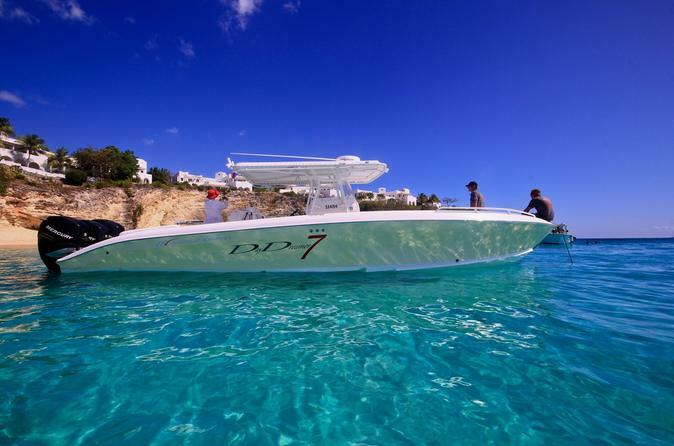 Your captain will share knowledge of the numerous bays surrounding St Maarten while you relax and enjoy soda and beer from the onboard open bar. Receive personal attention from your guide on this small-group tour, limited to 11 people. 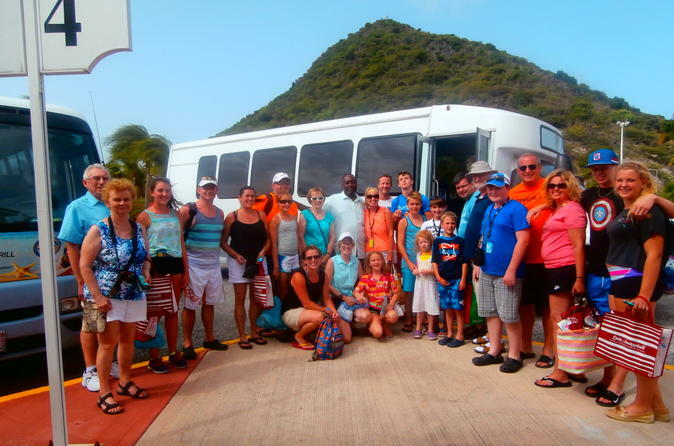 This tour is all about St. Maarten's history, sightseeing, and shopping. 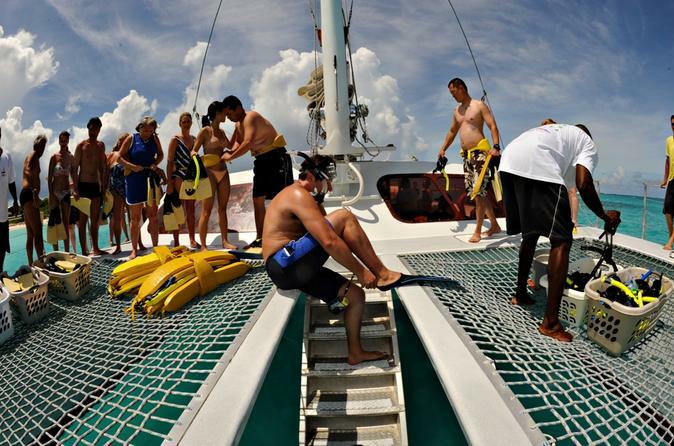 There is no better way to experience this beautiful Island than on this 4-5 hour tour. Visit both the Dutch and French sides of the island, passing through several towns including Philipsburg, Indigo bay, Simpson Bay, Cole Bay Hill and the French capital Marigot. Enjoy shopping at the mall and flea market, sightseeing, walking around, snacking, and lunch. There is no swimming involved on this tour. You will head back to the ship at the end of this wonderful day. 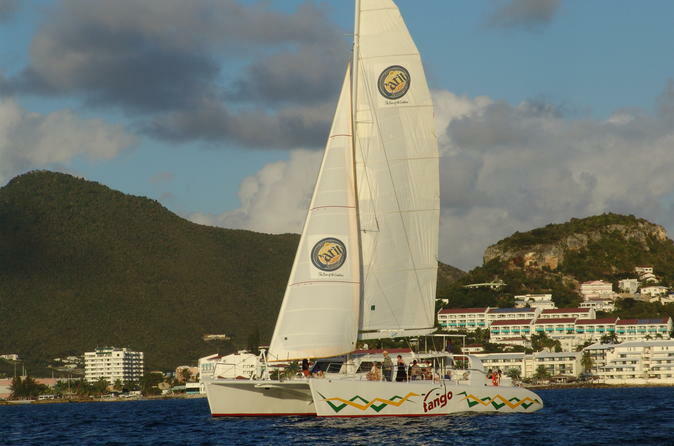 Set sail for a full day at sea in St Maarten You'll spend a leisurely day in true Caribbean style, relaxing on a deserted island, going for a snorkel and enjoying lunch with wine at the island's gourmet capital, Grand Case. Sail in the Caribbean paradise of St Maarten on a 5-hour cruise including homemade lunch and unlimited drinks from a top shelf open bar. 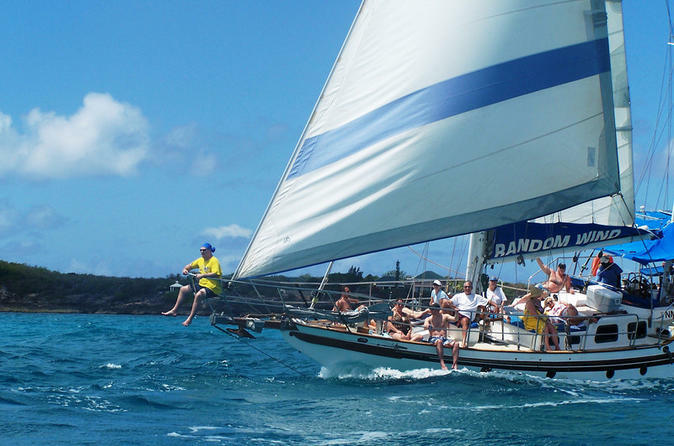 Relax on a cushioned seat in sun or shade aboard the ‘Random Wind’ as you travel up the coast. This family-friendly yacht takes you to the island’s Dutch and French sides for some beach time with paddle boarding, snorkeling and a spa quality bath, but there’s plenty of fun on board with the Tarzan swing! Enjoy personal attention on this small-group tour, limited to 22 people. Feast on a delicious gourmet dinner as you admire the sunset over the Caribbean! You’ll take in gorgeous views along the coastline of St Maarten during a 3.5-hour evening cruise aboard a historical schooner. Set sail with an experienced crew as they serve up scrumptious snacks before your 3-course meal. All you have to do is relax on deck with a drink in hand from the open bar and watch the stars! Numbers are limited to 16 on this small-group tour, ensuring a personalized experience.